The humble pineapple: once a delicacy eaten only by the aristocracy in the seventeenth century, gradually democratised to the point of being a Sunday dessert staple in the 1970s, served up from a tin in sickly syrup, is not an item that I can ever previously recall raising anyone’s hackles. Some children may dislike it and pull faces when proffered a piece, and personally I am not overly keen on it in its tinned form, but for someone to become enraged about this tropical fruit does seem a little, without wishing to sound too harsh, irrational. How could an innocuous pineapple move anybody to rage? Strange as it may seem, a pineapple has caused outrage and protest amongst a group of people in Reading, yet it had not even been poisoned, at least not in the literal sense of the word; metaphorically however, perhaps it had been. Among the material displayed on our stall was a pineapple. 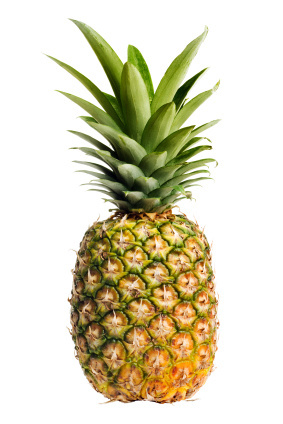 We labelled this pineapple "Mohammed", to encourage discussion about blasphemy, religion, and liberty, as well as to celebrate the fact that we live in a country in which free speech is protected, and where it is lawful to call a pineapple by whatever name one chooses. Towards the end of the afternoon, we were informed by a member of RUSU staff that there had been complaints about the pineapple, despite the fact that no complaints had been made at any point to anybody on the stall. Our commitment to freedom of expression meant that we refused to remove the pineapple from our stall. After a few minutes, we were told by another member of RUSU staff that "Either the pineapple goes, or you do", whereupon they seized the pineapple and tried to leave. However, the pineapple was swiftly returned, and shortly was displayed again, with the name Mohammed changed to that of Jesus. Shortly afterwards, the second RUSU staff member returned and ordered RAHS to leave the Freshers' Fayre. At this point, a group of around five students, some of whom self-identified as Muslim, approached the stall and began to criticise us, asking and telling us to remove the pineapple. Though these students mainly engaged in discussion, one removed the label from the pineapple without our permission. As the RUSU staff member merely raised his voice and shouted at the RAHS president when he attempted to explain our position, we were ultimately forced to leave the venue. However, several other societies at the Fayre offered to continue distributing our leaflets, and we continued to hand out leaflets outside the venue until we were again asked to leave by RUSU staff members, this time accompanied by RUSU security staff. The RAHS believes in freedom of expression. Our intent in displaying a pineapple labelled "Mohammed" was to draw attention to cases where religion has been used to limit this and other fundamental rights, such as the imprisonment of Gillian Gibbons. We did not expect to be forced out of the Freshers' Fayre because of a pineapple, and we are disappointed that RUSU took this action. If anything, an apology should be issued to the pineapple for naming it after such an unpleasant character. "My name is Muhammed and I want you to eat me."